Since 1924, Ocean Mist Farms has been committed to preserving and enhancing not only the land on which we farm, but also our surrounding ecosystems. We wish to inspire environmental stewardship in our local, regional and global communities to protect today's natural resources for a better tomorrow. The proximity of Ocean Mist Farms ranches to California's Monterey Bay makes water conservation a critical component of our field management practices. Sea water intrusion is minimized through the most efficient use of water resources, making Ocean Mist Farms an industry leader in water conservation. Minimizing seawater intrusion and having a reliable water source are important enough to Ocean Mist Farms that the company pays three times the price of well water for recycled water. 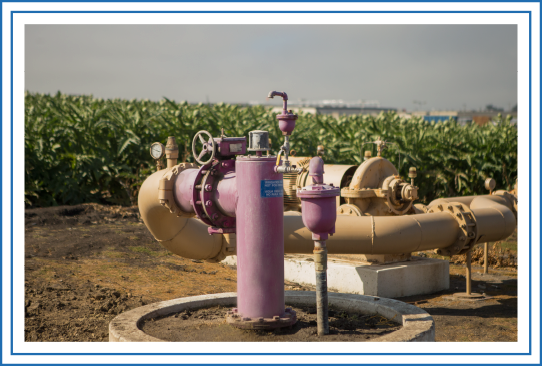 Today, we use approximately two billion gallons of recycled water per year in our farming operations. This accounts for about 30 percent of the total water used by Ocean Mist Farms in the Castroville & Salinas growing regions. An estimated 12,000 acre feet of water is generated per year by the recycling projects, of which 9,000 acre feet is used by Ocean Mist Farms. By tapping recycled water instead of well water, Ocean Mist Farms has helped decrease the pressure on seawater intrusion. We use drip irrigation and soil moisture sensors to target both water and nutrient delivery. 90% of company operations use drip irrigation. Vegetated waterways control sediments and improve water quality. Soil health is the backbone of agriculture. At Ocean Mist Farms, we maintain soil health and fertility by working crop residue back into the soil. When this organic matter breaks down, it provides valuable nutrients that support a healthy microflora for the next crop, reducing the need for added fertilizers. 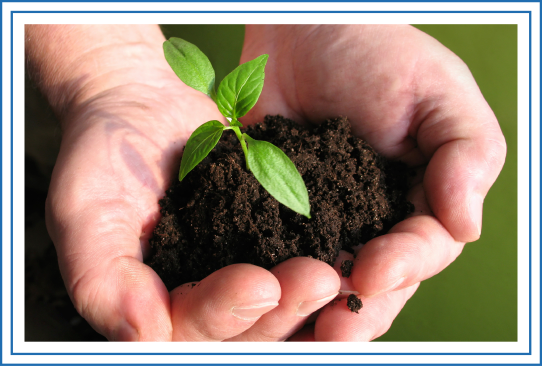 By maintaining organic matter and managing soil pH, natural defenses in the soil are strengthened, making the soil less reliant on chemicals to fight diseases and pest pressures. We plant cover crops whenever practical to protect and enhance the quality of our soil. A robust crop rotation program helps us maintain soil health. Careful management of irrigation activities prevents nutrient runoff and keeps them where they are needed. Larger GPS-enabled farm implements minimize passes through the field which reduces compaction and helps maintain soil integrity. Ocean Mist Farms' integrated pest management (IPM) maximizes crop quality while maintaining a natural balance in the environment. We employ a diverse crop rotation strategy that aids in pest prevention by maintaining optimal soil health which results in less disease and fewer chemicals. Before planting, each site is also evaluated for water and soil to match the appropriate crop with the natural elements. Healthy soil means less disease and fewer chemicals. Whenever possible, we employ biological controls such as lady bugs for aphid control and plant wildflower mixes that attract beneficial insects to our crops.